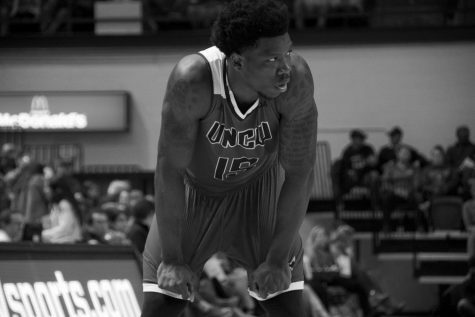 Keith Rendleman is the leader of the UNC Wilmington men’s basketball team. Everyone knows that, no one denies it. 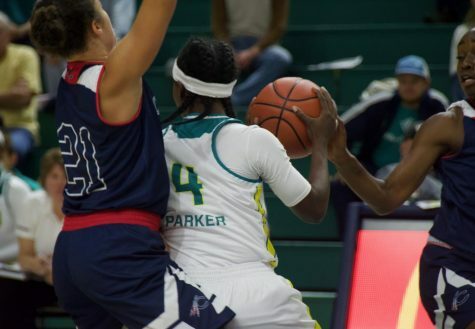 The senior forward is constantly recording double-doubles and is leaned on heavily anytime the Seahawks are in need of a basket. The Seahawks’ win against Old Dominion on Jan. 16 allowed a peek of what life may be like without Rendleman next year. After picking up two fouls in the first 2:11 of the game, the senior forward was subbed out and did not see the court the rest of the half. 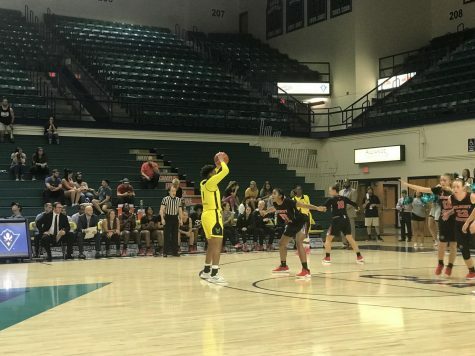 I know what you’re thinking, “This one got ugly, quick.” But it didn’t, and that’s very refreshing for a squad that has relied so much on its All-CAA performer. 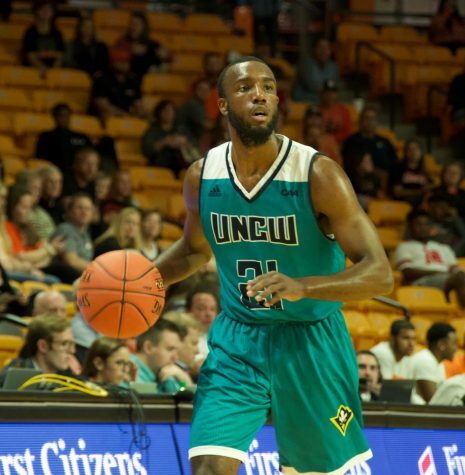 Rendleman’s subbing let other players have the opportunity to prove that the UNCW program will be fine next year after he graduates. For the most part, the results were good. Without Rendleman in the game, the Seahawks relied on their guards more than usual in the first half, letting Chris Dixon and Craig Ponder create their own shots. 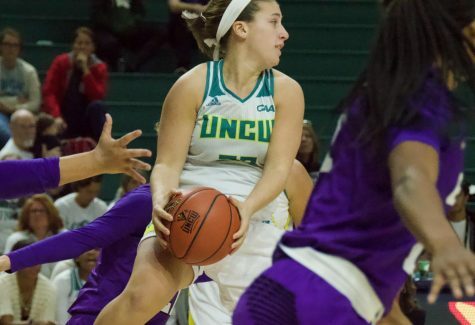 Dixon, coming off a career-high 30 points in UNCW’s upset win over George Mason four days before, led the team with seven points and two assists by intermission. 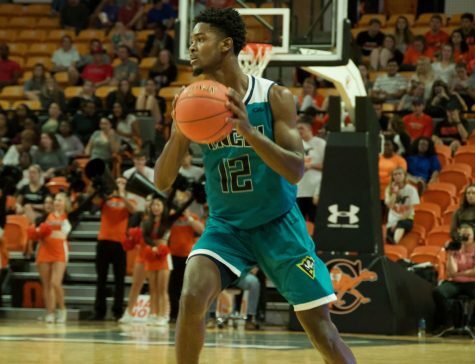 Ponder, who has provided the team with that grinding, hard-nosed point guard that it has been searching for years now, pitched in with four points, and helped hold Monarch starting guards Aaron Bacote and Keenan Palmore to a combined 2-7 from the field. 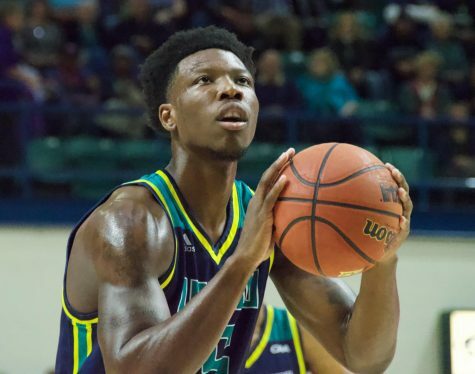 While UNCW trailed 31-28 at the half, if you were to tell anyone Rendleman’s stat line in the first half would be zero points and one rebound, they would be expecting a much larger deficit than that. The main reason for the Seahawks improved play has been the guards’ enhanced performance. Dixon and Ponder are the two most visibly-improved players from the start of the season till now. Dixon, a junior transfer from Redlands Community College, stated he is becoming more comfortable with his role on the team. 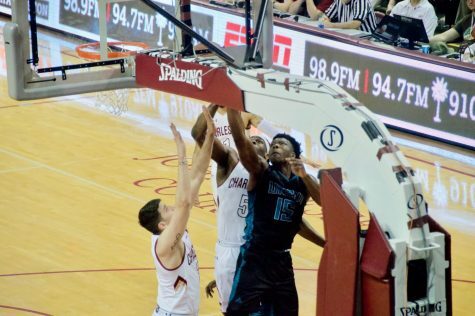 After scoring in double figures only one other time this season (20 points against Georgia Tech), Dixon has now reached the double figure plateau in the past five games. He’s done this while shooting 51% from the floor, including going 15-of-29 from three point land. Ponder, meanwhile, finished with 13 points against the Monarchs. After redshirting last year due to injury, he has proven that he can play in this league as he works his way back into playing form, including a three game stretch between the end of December and into January in which he scored in double figures. Being a freshman and producing already, he’ll be counted on to help carry the Seahawk program in years to come. 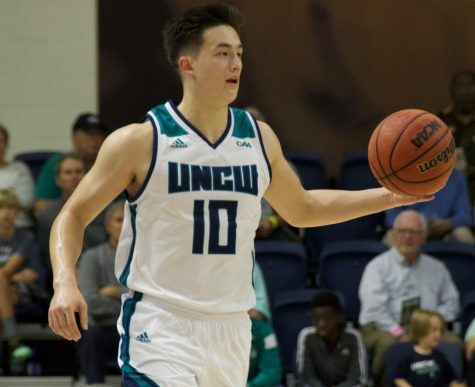 Keith Rendleman is one of the greatest players in UNCW men’s basketball history and his graduation after this season will surely hurt the team more so than help it. 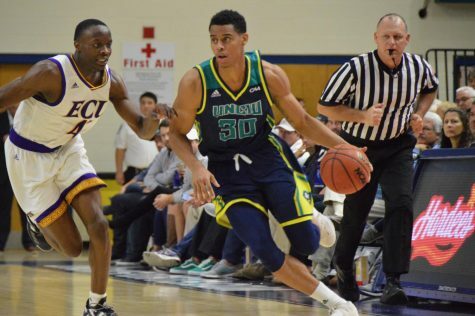 However, before we count the Seahawks out for next year, let us continue to watch Dixon and Ponder carve out their legacy in a UNCW uniform. Maybe we’re all jumping to conclusions too soon.